As a CPA with over 22 years in the industry, Cherie brings a wealth of experience and insight to our team. 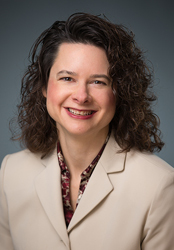 Cherie was most recently employed as a manager with Chambers & Hammock, CPA, P.C., before joining Isler Northwest as a supervisor in November 2014. In her career in public accounting, she has acquired a wide diversity of skills, but has focused in the areas of corporate and partnership taxation, financial reporting and retirement plan administration, over a broad range of industries. She offers extensive financial reporting experience, including compilations, reviews and audits. She received a BA in Business Administration-Accounting from Portland State University in 1992 and became a Certified Public Accountant in 2002. She is a member of the Oregon Society of Certified Public Accountants. In her free time, Cherie enjoys spending time with her husband, traveling, boating, cross-country skiing and hiking.